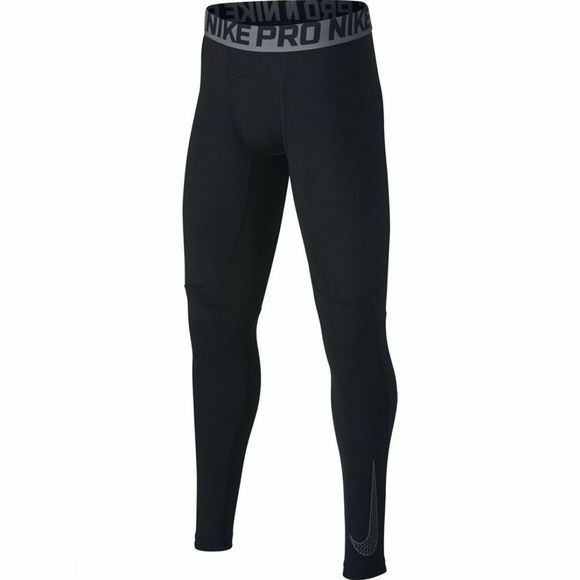 Lightweight and breathable, Boys' Nike Pro Tights bring the cooling power of Dri-FIT technology and mesh fabric in a durable design that's as tough as you are on game day. 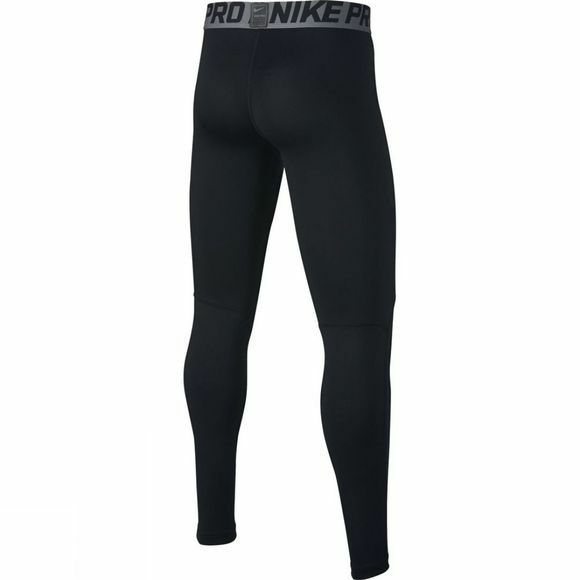 Elastic waistband with repeat ""NIKE PRO"" jacquard trademark provides a snug, personalized fit. Swoosh design trademark is printed at lower left thigh. 3/4-length design is versatile and ideal for layering.